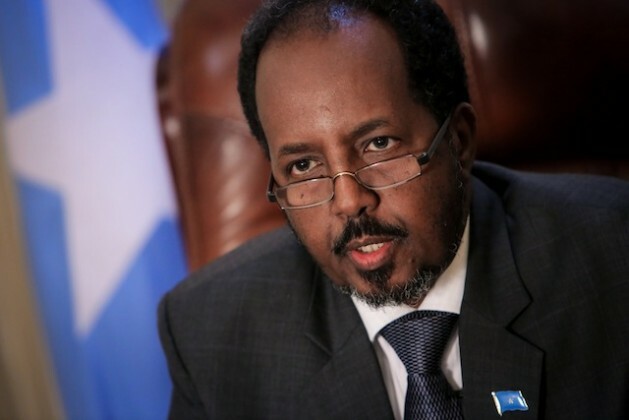 UNITED NATIONS, Sep 1 2015 (IPS) - The impeachment motion Somali parliamentarians filed against President Hassan Sheikh Mohamud on Aug. 12 has created a political standoff that might further threaten the country’s stability shortly ahead of planned elections in 2016. Last week, the envoys of the United Nations, the African Union Mission in Somalia (AMISOM), the Inter-Governmental Authority on Development (IGAD), the European Union, the United States and the United Kingdom issued a joint statement, calling for a rapid resolution of the crisis and expressing their concern that the motion “will impede progress on Somalia’s peace and state building goals”. “Emerging institutions are still fragile. They require a period of stability and continuity to allow Somalia to benefit from the New Deal Somali Compact and to prepare for a peaceful and legitimate transfer of public office in 2016,” the text added. As a matter of fact, there are important procedural irregularities as well as legal obstacles arising from insufficiently developed institutions that stand in the way of a smooth running of the impeachment process and might indeed cause further political turmoil. In accordance with article 92 of the Federal Government of Somalia’s (FGS) provisional constitution, the impeachment motion has been submitted by one-third of the members of parliament. However, as reported by the Somali Current, at least 25 members of parliament out of a total of 93 deputies endorsing the motion claimed their names were used without their consent. After the submission of the impeachment motion, the following step provided for under articles 92 and 135 of the provisional constitution will be a decision by the Constitutional Court, within 60 days, on the legal grounds of the motion, followed by a two-thirds majority vote in the Parliament. However, at the time of writing, no Constitutional Court exists in the country – a major obvious hindrance, even though some analysts invoke the possibility of a decision by the Supreme Court acting on the matter instead, following the legal precedent of former article 99 of the 1960 Somali Constitution. Another major question of debate concerns the charges against President Hassan Sheikh Mohamud. As outlined in a press statement by the Somali Federal Parliament, the impeachment motion lists a total of 16 charges against President Hassan, including abuse of power, corruption, looting of public resources, failure to address insecurity, human rights abuses, detentions of political dissidents, interference with the independence of the judiciary and intentional failure to meet the requirements for elections in 2016. Article 92 (1) states that a deposition of the Somali president can only occur if there are allegations of “treason or gross violations of the constitution”. There is ongoing discussion whether the charges put forth by the parliamentarians present enough legal grounds for the motion to pass. In a press conference last week, President Mohamud dismissed the charges against him, adding it was not the right moment for an impeachment procedure and accusing individuals of having “special interests” – a possible allusion to deputies seeking term extensions. “We also recall that Somalia and all member states are bound by United Nations Security Council Resolution (UNSCR) 2232, which sets out the expectations of the international community on the security and political progress needed in Somalia, and the need for an electoral process in 2016 without extension of either the legislative or executive branch,” the statement said. In an interview with Voice of America, U.N. Envoy to Somalia Nicholas Kay repeated the international criticism of the impeachment motion. While some voices are more concerned about the impeachment motion itself as it will likely create further chaos and instability, others emphasise the validity of the charges and the need to hold the President and national institutions accountable. Ahmed Ismail Samatar is former member of the Somali Federal Parliament. A candidate for the 2012 elections in Somalia, he is now working as professor and chair of International Studies at Macalester College. Last month, President Mohamud declared that he does not expect “one person, one vote” elections to be possible in 2016 due to persisting security challenges. However, he said in an interview with Voice of America, he is “aiming for the next best option” regarding transition of power in 2016. Opposition parties have reacted angrily to the president’s statement, claiming that he uses the insecurity argument as a pretence to extend his mandate. President Mohamud was elected in 2012 by a parliament made up of 135 clan elders in what the BBC described as a “U.N.-backed bid to restore normality to the country”. However, instability, severe economic problems and continuing al-Shabaab attacks as well as the current political crisis seem to suggest that the country still has a long way to go to achieve normality.